A beautiful album with a sophisticated black design. 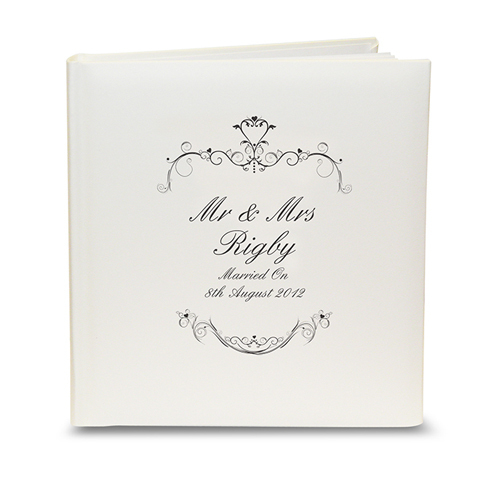 This Black Ornate Swirl Traditional Cream Photograph Album can be personalised with any message of your choice over 4 lines up to 25 characters per line. The first two lines are in bold. Personalise with any message of your choice over 4 lines up to 25 characters per line.